we did not have a high success rate from our hatching. Out of a possible 19 eggs placed in the incubator 21 days ago. We were left with only 5 chickens hatching. After the candling process, we were only left with 9 eggs and out of those 9 eggs only 5 hatched. Odds were very low this time. Sometimes during the very hot season the hens go into the molting period. So between a couple broody hens and molting, it affected the odds greatly. I must admit these 5 beautiful little chickens will be pampered. These chickens are all purebred barnevelders. This is a picture of our little chicks, well at least the ones that were not so camera shy. It is very difficult to get such little chickens to stand still and smile for the camera. 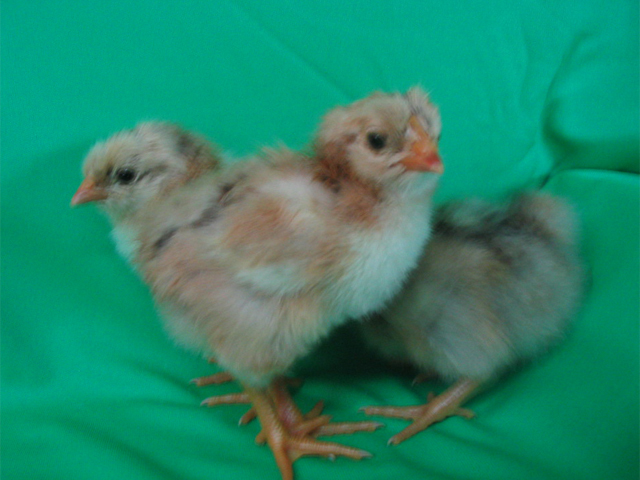 After learning more about the hatching process, I am sure that our success rate will climb.